Disney's Where's My Water? is but one title the whole family will enjoy. The iOS App Store is sort of like the Old West in the sense that no one really polices it and Apple has yet to implement a video game rating system. That means developers are free to release titles that deal with mature content inappropriate for children. On that note, we're proud to present the best kid-friendly iPhone and iPad games that'll make both youngsters and parents happy. Disney poured an untold amount of resources into making Swampy, the adorable alligator from Where's My Water?, a household name. Thing is, it appears the company's strategy worked. 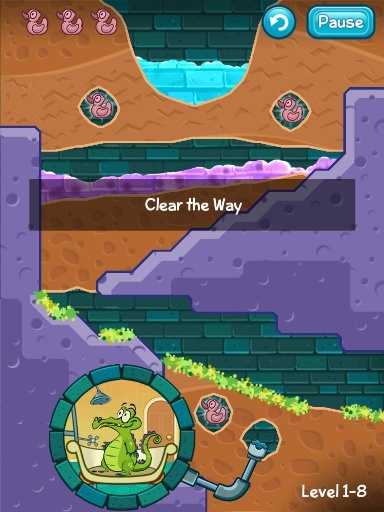 Not only do kids love the shower-taking reptile, but his game is enjoyable to boot, as players figure out the best ways to guide water into the bathtub. Looks deceptively easy, so prepare for some challenging puzzles the further you progress. 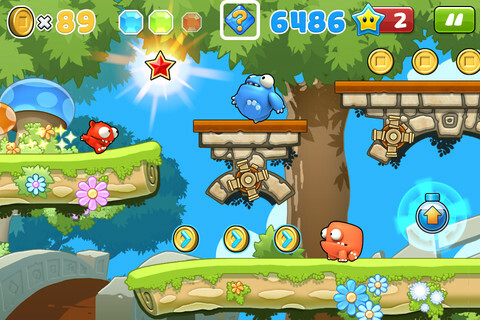 Keeping with cute, there's Om Nom, star of Chillingo's critically acclaimed iPhone and iPad puzzler, Cut the Rope. Here, the goal is to figure out ways to drop pieces of candy into Om Nom's mouth. 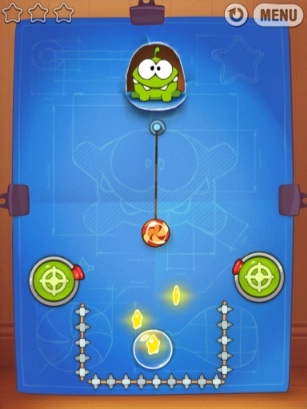 Plenty of head-scratching puzzles await, and once you beat the game, there's always the sequel, Cut the Rope: Experiments. What's that saying? Fruit does a body good? We probably improvised on that one, but one thing's guaranteed: you and your kids will have a ball with Halfbrick's fruit-slicing mega hit. 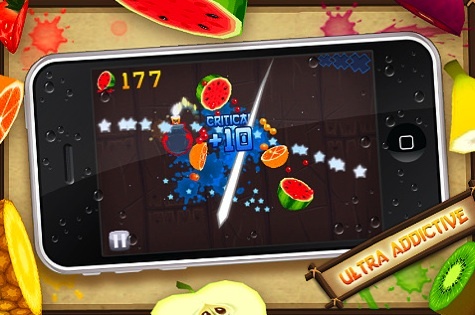 Swipe the iPhone and iPad screen to slice apples, oranges and bananas while avoiding bombs. Play the original, and/or check out the movie-tie in, Fruit Ninja: Puss in Boots. To be fair, there are a handful of quality Angry Birds games on the App Store, including the recently released Angry Birds Space. That said, we always come back to Seasons, largely because publisher Rovio Entertainment sees fit to update the game with new levels on a fairly regular basis. The object is simple: fire tiny birds into forts to not only destroy these structures, but also take out their arch enemies, the green pigs. 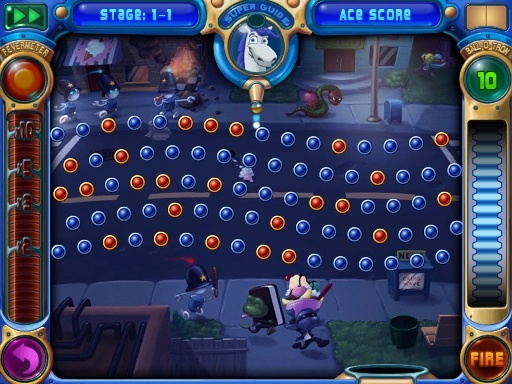 Think of Peggle as a modified version of Plinko from The Price is Right, minus cash prizes. Here, you fire a silver ball at a bunch of multi-colored pegs in the hopes of touching the orange ones, whereupon which they disappear. 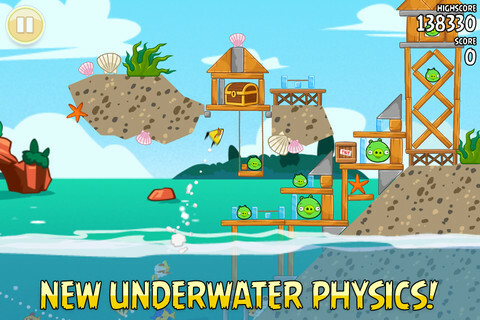 The cartoon-style characters, visually-stimulating scenery and addictive play make this a family favorite. Save a bit of money by downloading this free-to-play platform adventure. As Redford, players explore four vibrant worlds uncovering hundreds of secrets and making use of 28 special power-ups to outwit dangerous monsters. Spending some cash will grant access to coins and Mega Points, but you don't need to part with real-world dough to enjoy most of what this colorful game has to offer. Kids can't get enough of Elmo; adults too, for that matter. 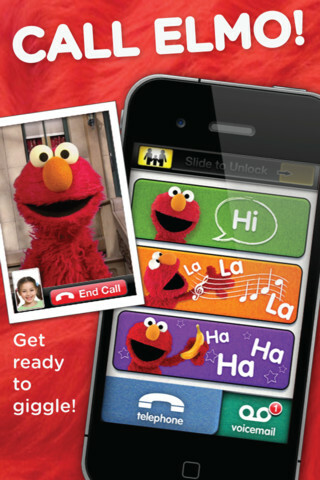 This cool app lets you set up phone and video calls from the popular Sesame Street character. Great for helping kids muster up the courage to go to the doctor or tackle potty training; you need to pay extra to unlock all the calls. One of several cool games/apps featuring Elmo and friends. With this in mind, check out the links below; Elmo Calls works best on iPhone.